After my ‘Moscow Metro’ blog of some weeks ago, I received an email from the President of the CartoPhilatelic Society, them being folk who collect Maps on Stamps. 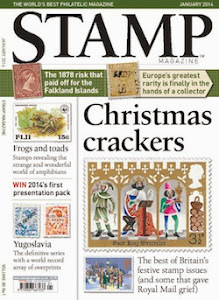 I failed to see the link first, until I realised that there were stamps with railway maps included. Now I like my maps, old ones to see what has changed, new ones to plan walks in the wild. All maps have a different appeal. 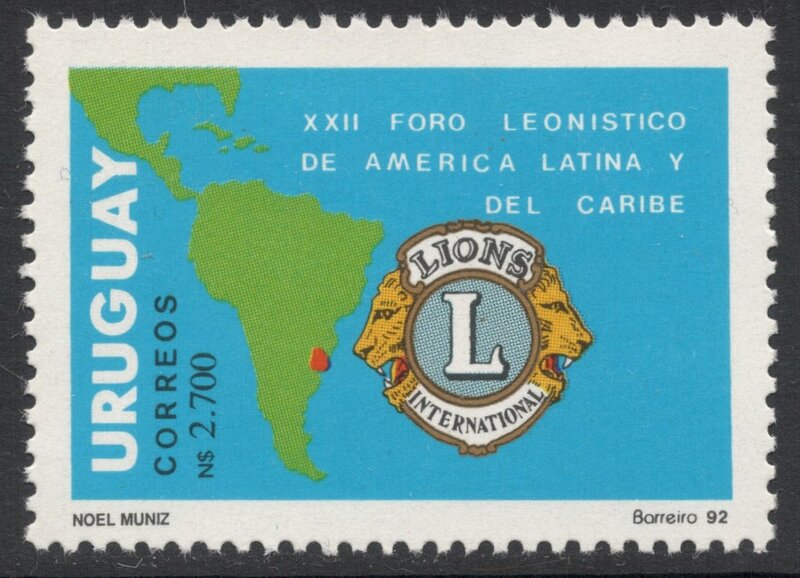 So I started wondering what I would do if I were to collect Maps on Stamps as well. I was reminded of a TV advert in which you started off in the universe, zooming further and further in until you were left with an image of someone lying on the beach with a particular brand of beer, I think it was, next to them. So I had a go and tried to do a similar thing with stamps. Starting off with the whole world we have plenty of choice. 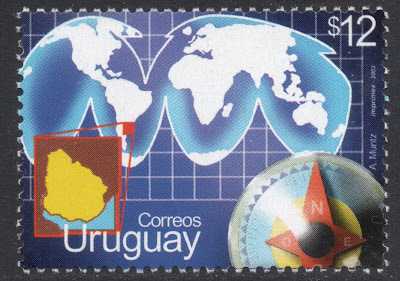 This 2003 stamp from Uruguay, to celebrate their international relations, shows the world as taken off a globe and flatted out. The perfect way to show all of it rather than just the part of the globe which would be visible to the eye. 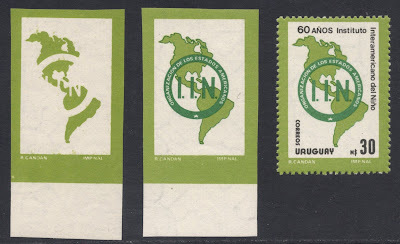 Getting a bit closer we end up on this 1988 stamp from Uruguay, which marked the 60th anniversary of the Interamerican Institute for the Child, hence a depiction of the Americas. I understand thematic collections are allowed to diverse into varieties, so I was rather pleased to find this set of progressive proofs. 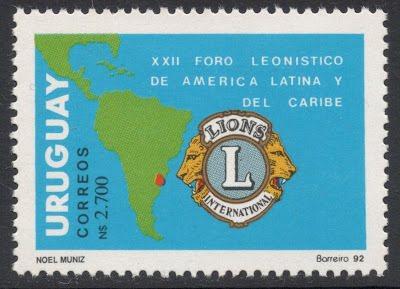 In 1992, Uruguay issued a stamp to mark the 22nd Latin American and Caribbean Lions Clubs Forum, which has a good map of South America. As with the all-world stamp, this one has the great design touch of including the country as well, so that we all know where they’re at. 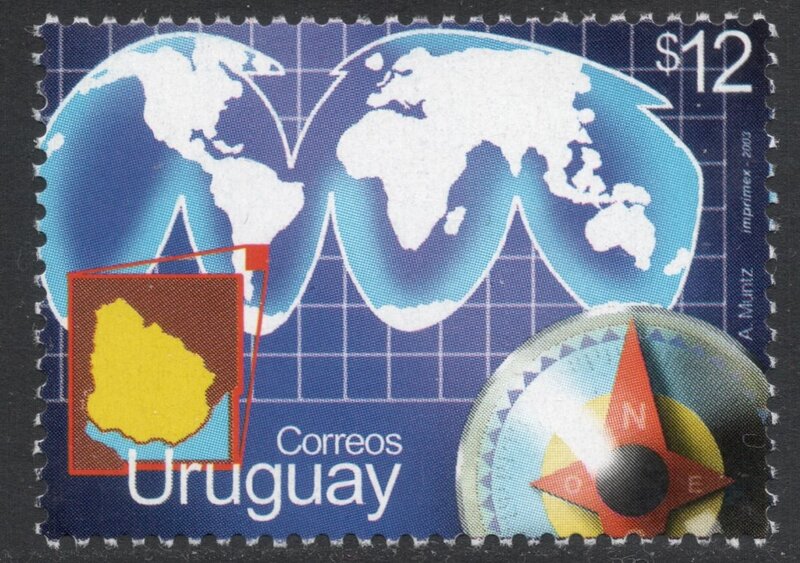 Which is where we end up now: the 1984 stamp showing the country Uruguay, nicely subdivided into departments as well. 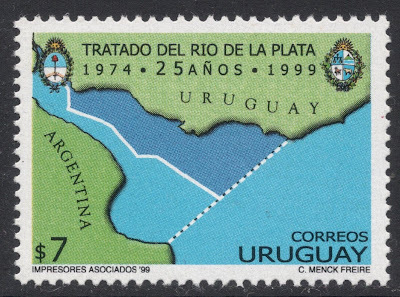 This is actually a reprint of the original 1973 stamp, with a new value. And again I managed to find a great variety, consisting of the colour yellow shifted to the right. 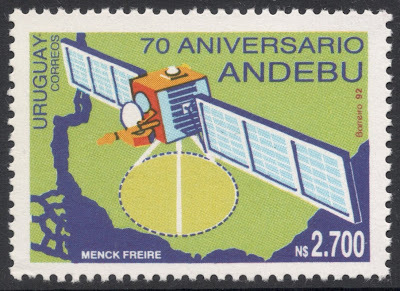 The 1992 stamp for the 70th anniversary of ANDEBU, the association of broadcasting stations, zooms in nicely on the southern part of Uruguay. 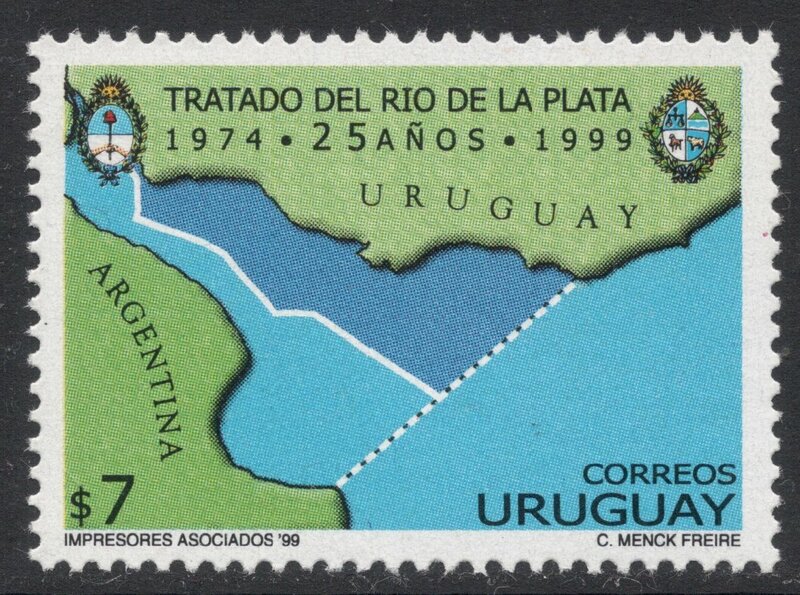 We get closer and closer, and are now in muddy waters, with this 1999 stamp marking the agreement on the maritime borders between Uruguay and its neighbour, the Argentine Republic. And still I managed to zoom in just that bit more, to Uruguay’s capital Montevideo on the southern coastal border of the country. 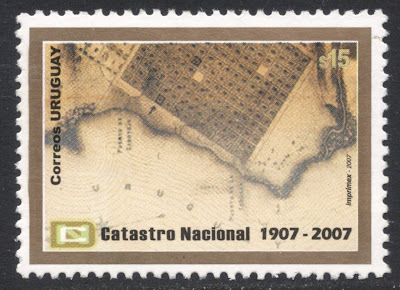 This 2007 stamp to mark the centenary of the National Cadastre shows an early map. See how well you can see the grid pattern of the streets, for which Montevideo is known. 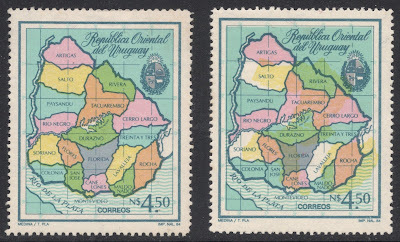 With South American countries having issued a fair proportion of map stamps, it wasn’t that hard to come up with this sequence. But is it possible for other countries as well? Can you do it? 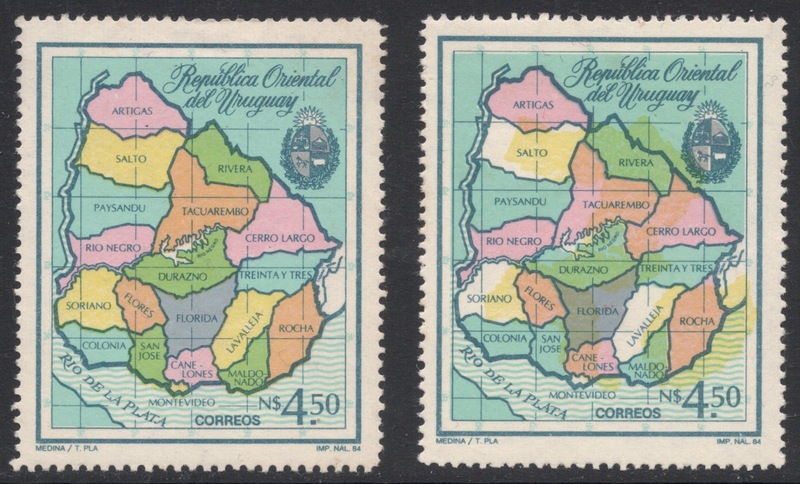 If so, or if you want to see or show off some other map stamps, why not visit our forum thread on Maps on Stamps and have a go yourself! 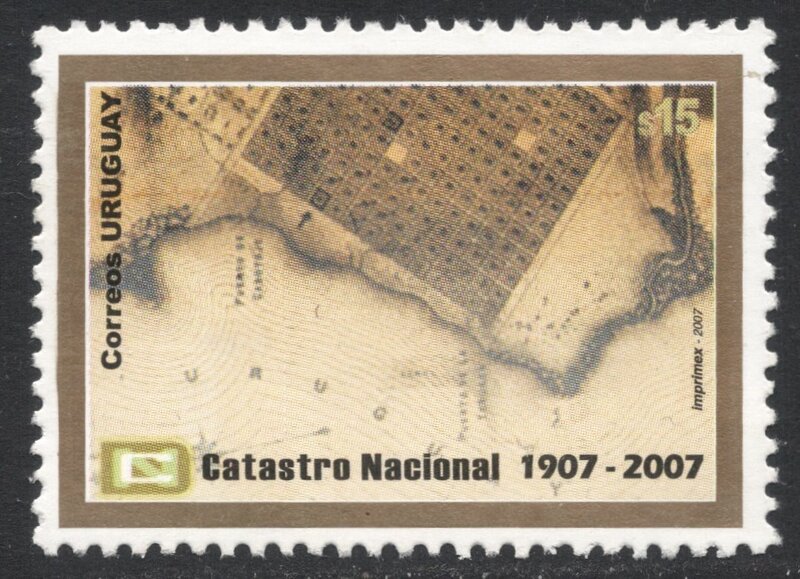 You can also find a website about maps on stamps at www.mapsonstamps.net - it is part of my collection written up some years ago in a narrative form. Extremely interesting and the link to the Cartophilists society was very colourful. A great theme! Thanks for information.